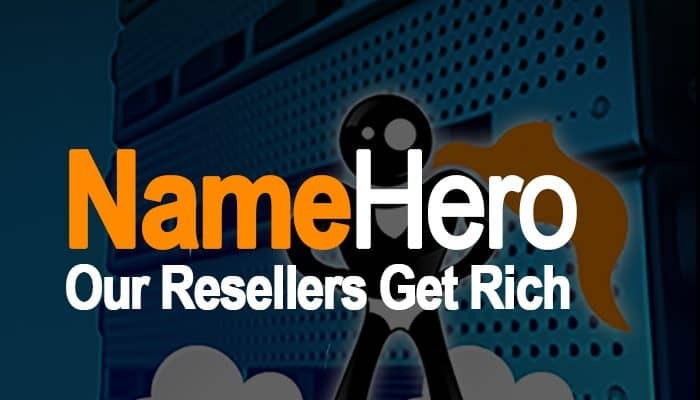 The last year has been crazy for us here at NameHero.com. Quickly, we’ve become one of the largest Reseller Web Hosts, and show no signs of slowing down. Being an Internet Entrepreneur for nearly two-decades, I understand what it’s like trying to start an online business, therefore try to use my experience to leverage our company as an asset for others. I genuinely care to see others succeed. Most recently, one of our customers shared with me how they’re now earning over $8,000 a month in profit hosting other websites. Stories like this give me much more satisfaction than profits at the end of the day. Perhaps you’re looking to supplement your current income developing local websites. Maybe you have a network that needs several high performance servers. Regardless of your goal, the sky is the limit. For years, web hosting affiliate programs have highly benefited from developers, bloggers, and other web-entrepreneurs. As more people decide they want to work from home, they realize the power of having recurring income and growing long-term based business. I’ve decided to put together a “Quick Start” guide for those aspiring to have long term success in the web hosting industry. This is going to be a work in progress, so expect periodic updates as we continue to develop based off feedback.